Yes boys and girls of the Ultra fando, looks like we will be getting ourselves a new Ultraman movie next year starring this year's ultra hero, Ultraman X! 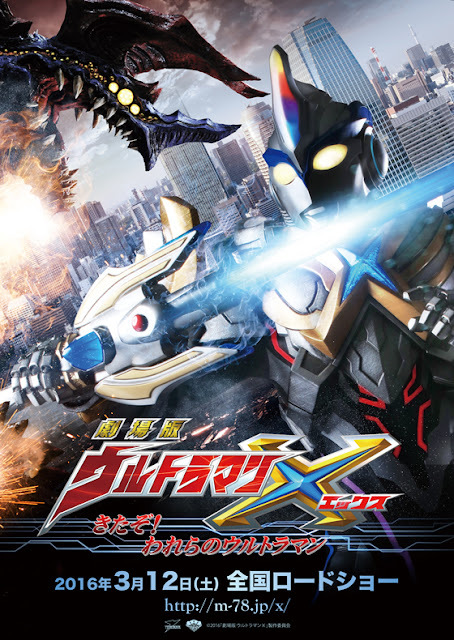 Entitled Ultraman X: Our Ultraman, Daichi and X will be evolving further as they aquire a new form, Exceed X Beta Spark Armor and a new weapon (yet to be named). Ultraman X: Our Ultraman will premiere in Japanese cinemas next year, March 12, 2016.